1,APPLICABLE PEOPLE – This backpack purse is very small and cute, so it applies to women, students, girls as fashion packages and travel packages daypack bag. Can also be used for some children kids, like boys, girls, as long as they like, can hold iPad books and other daily necessities. this backpacks Can also be used as a coin purse. 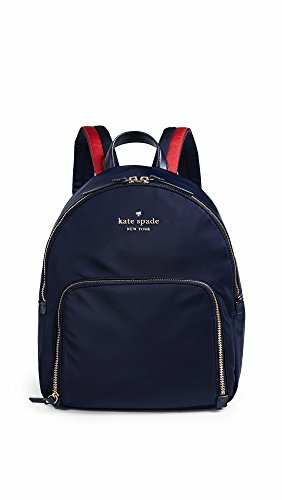 2,MATERIALS – this mini backpack purse make of high quality black PU leather,Decoration is red and green stripes,Also the cute daypacks have Two gold color zippers, not silver color, because of the problem of computer pixel display,The color you see may be silver, but the backpack daypacks is really a golden color zipper. 3,ADJUSTABLE STRAPS – This daypacks straps are long and adjustable and they are well secured and long enough to carry the bag with reasonable comfort.So adjustable shoulder straps are suitable for adults and children kids. 1–Multi-pockets provide enough space for your items, including 1 main Pockets with 2 interior pockets, 2 side pockets, 1 front zipper pockets, 1 zipper pocket in back. You could store your things orderly. 2–The rear zipper pocket of the backpack can protect your items from being stolen. 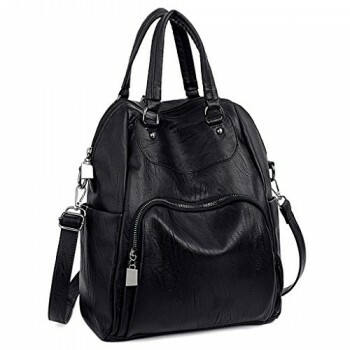 3–You can carry it as a backpack-This fashion backpack purse also can be used as a shoulder bag and women handbag. it is good choice for travel,outdoor,shopping,daily life and hiking. 4-The lightweight and fashionable backpack can be used as a shopping backpack travel daypack, and etc. 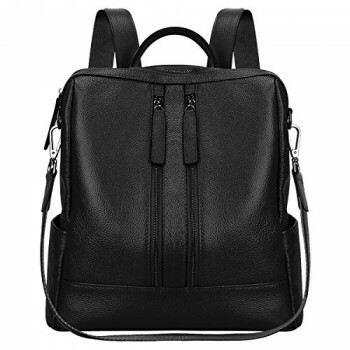 1–Fabric: This cute backpack is made of high quality soft PU leather with metal zipper and fabric lining, which is fashionable and durable. 1. PU Leather material has natural leather smell, but it will disappear in a few days exposed to outside. 2. 1-3cm error of measuring is a reasonable range due to different measurment methods. 3. Please allow little color difference due to different camera or light environment. 4. If you have any questions, please feel free to contact us, it will be our great honor to hear from you. ★ APPLICABLE PEOPLE – This mini backpack purse is very small and cute, so it applies to women,ladies as fashion packages and travel packages daypack bag, also can hold some daily necessities. this backpacks can also be used as a coin purse. 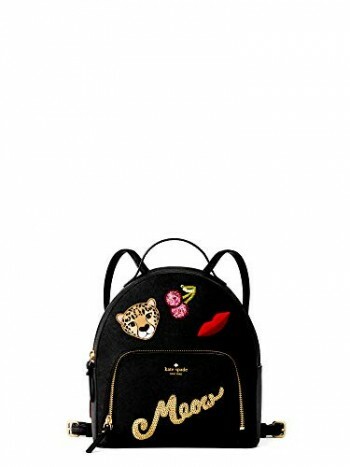 ★ MATERIALS – this cute backpack purse make of high quality black PU leather, decoration is red and green stripes, also the cute daypacks have two gold color zippers, not silver color. ★ ADJUSTABLE STRAPS – This backpack daypacks purse straps are long and adjustable and they are well secured and long enough to carry the bag with reasonable comfort.So adjustable shoulder straps are suitable for adults people of different heights. 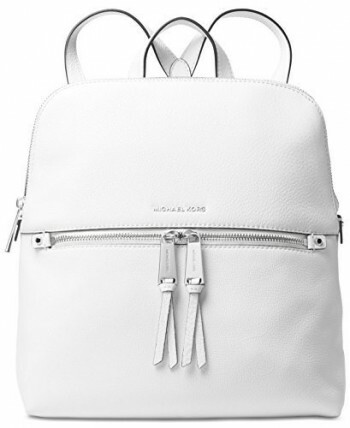 ★ 100% MONEY-BACK – We think you’ll adore this Cute Backpack Purse Luxury Daypacks Bags. But in case you’re dissatisfied with it for whatever reason, return it to us for a FULL refund. No hassles, no questions asked, no risks!